Paul Rose - "Stone Premonitions Presents - Paul Rose"
Paul Rose is a British guitarist who plays everything from floating ambient guitarscapes to heavy rockin' smoker tunes. When he's kickin' out the heavier jams his style is very much in the Joe Satriani/Eric Johnson mold, but Rose's style is blusier than those two. And his web site points out that Paul had been chosen in a contest by Rory Gallagher as best "young" guitarist in 1991 and was Guitarist Magazine's Guitarist of the Year in 1995. Except for a few voicings and samples this is an instrumental album. Rose strives to showcase his various stylistic interests and does a good job of creating nice melodic pieces that also display his instrumental proficiency. On the more easy-going side is "Homework Bound", a light prog rock oriented tune which has nice proggy keyboards and guitar against an electronic sequenced, almost techno rhythm. I liked the combo. The keyboard/guitar part reminded me a bit of late 70's Camel. "Part Of A Process" also reminded me of Camel and is a cool stinging guitar melody tune. And "Birth Again" is a light jazz tune with some really nice guitar work. The album also includes some interesting ambient guitar work. "Cause/Effect" is an ambient piece with drifting sustained soundscape guitar notes, a slow rhythm, and ghostly vocals. The ambient guitar remains but is soon joined by a slowly soloing blues guitar. "Black Middens" is a similar soundscape guitar piece but here the ambient guitar plays solo. "More Cake", "Metal Work", and "Magic City" are the rockers on the disc. "More Cake" is pretty standard rock but Rose's chops are hard to ignore and the music has a great groove. This is the track that made me think of a blusier Joe Satriani or Eric Johnson. The title says it all for "Metal Work", a steam engine of a rocker. Very much in the Satriani/Vai/Johnson school, but it has a much welcome dirtier rockin' sound. In summary, Paul Rose would appeal to anyone into good rock guitar discs that feature variety from a skilled player rather than just flash. This disc is a solo work but Rose apparently has a 3-piece band assembled that have yet another CD ready for release. 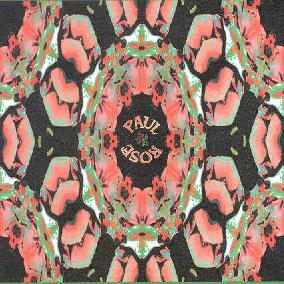 You can visit Paul Rose at his web site.